When something arrives from the stores of producer R Ravindran, Trident Arts, it keeps us so much well assured of a substantial content. 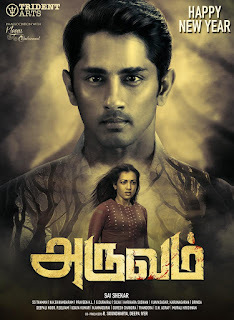 Especially, the film “ARUVAM” has been a cherry pick of Tinsel Town for the reason that it boasts of power house talents. In a natural manner, we are now bestowed on this New Year eve with a spectacular first look of this film featuring Siddarth and Catherine Tresa in lead roles. Which is directed by Sai Shekar. ARUVAM features Siddarth and Catherine Tresa in lead roles with Kabir Dugan Singh, Madhusudhana Rao, Stunt Silva and Poster Nandakumar as antagonists. Satish, Aadukalam Narain, Kumaravel. 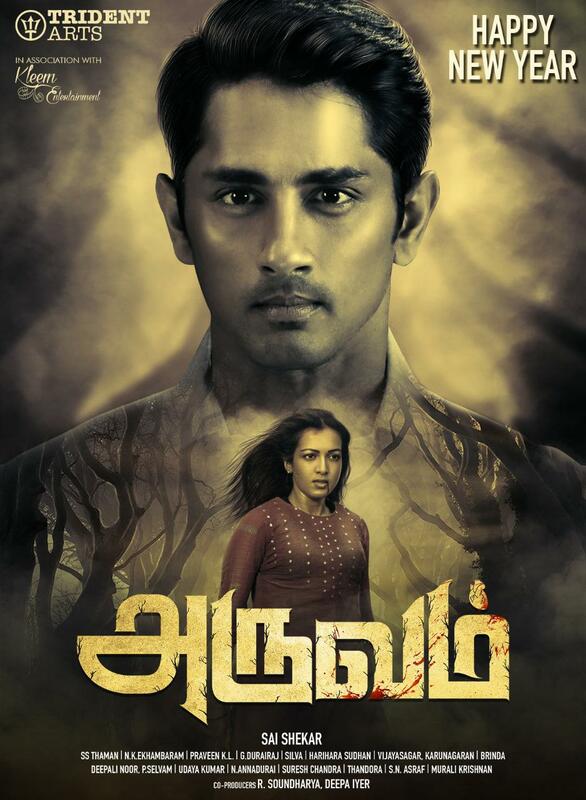 Mayilsamy and many more actors are a part of this film. While SS Thaman is composing music for this film, the most celebrated N.K. Ekhambaram is handling cinematography. National Award winner Praveen KL is on editing with G Durairaj as the Art Director. Stunt Silva is choreographing action sequences apart from playing one of the villains.